I entered the real estate industry armed with one of the most important assets any real estate professional can possess - a great understanding of human nature. With a bachelor's degree in psychology and a master's degree in social work, I quickly connect with people from all walks of life and thrive on making a positive difference in their lives. I listen carefully to my clients' needs and strive to forge strong relationships while achieving people's real estate goals. I've also been the buyer's agent on Katie Moore Real Estate Team since 2012 where I also assisted with real estate appraisals and listings. Coupled with being a North Carolina native, and calling Wilmington home since 1998, I bring a wealth of local knowledge, my trademark energy and optimism to every real estate transaction. 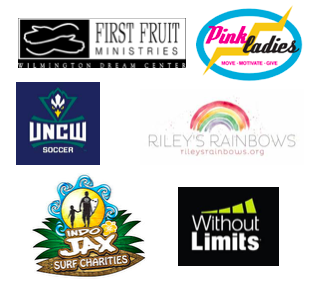 I am active in the community as a former member of the Board of Directors with the March of Dimes (and 5K race director), Quintiles Wrightsville Beach Marathon staff and have served on various committees of the Wrightsville Beach PTA. I also am the head of the Girls On The Run program at WBS. When I'm not hard at work for my clients, I enjoy running, laughing and spending quality time with my family.